Think of the great remixes in the history of Rap music; recreating the performance of the originals for a new era and in a different environment. 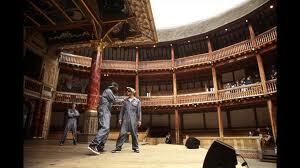 So it’s not that controversial to see The Q Brothers use Hip-Hop sensibility in rethinking Shakespeare’s Othello. Devised for the 2012 Cultural Olympiad Globe to Globe festival, the team has brought its lyrical adaption over original beats back to London. Co-produced with The Chicago Shakespeare Theatre, this is not a first for the siblings, who have previously produced critically-acclaimed works that include ‘Funk it up about Nuthin’ (Much Ado about Nothing) and their first Shakespeare Ad-rapp-tation in 2000 - ‘The Bombitty of Errors’ (The Comedy of Errors). These productions laid the foundation for a style of work they seem to have made their own. Rather than the traditional 16th Century’s aristocratic milieu that Shakespeare gave us, we have instead, the super competitive and cutthroat Rap industry. The tragedy is condensed into an 80-minute parable of betrayal, jealousy, rage and murder via original, well-crafted beats and rap spits with verve and energy – which mostly pay homage to the style of Eminem. A core feature of this play is the insidious prejudice towards The Moor, but here, Othello’s outsider status is only hinted at, with disapproval of his flowering relationship depicted in a hilarious scene where Desdemona’s father tries but fails to mask his racism. In stand out roles, GQ is convincingly scheming and conspiratorial as he feeds the doubt of Postell Pringle’s naïve and vulnerable Othello. Behind this Hip-Hop superstar’s skills and fame lurks a deep-seated jealousy, which is exploited mercilessly by his one-time friend. Completing the deadly triangle is Desdemona, who we dont get to see this in this all male rendition - but Othello and the audience are charmed by her beautiful singing. Scenic and costume designer Scott Davis’ set transforms the large circular auditorium into a minimalist raised square stage, that is adorned with intricate graffiti from which DJ Clayton Stamper overlooks the performances. The production covers all demographic bases but members of the audience at The Unicorn theatre seem quite restrained in contrast to the play’s upbeat music. Having done this kind of thing before The Q Brothers' direction is fluid and sharp. The four energetic performers use the stage well with functional street dance choreography that is as important to the story telling as their raps. Humour is present as well, especially in a hilarious three singers-in-drag style take on James Brown’s This is a Man’s World. The ad-rapp-tation original beats and rhymes judiciously carry the story, and each performer holds their battleground skilfully. It’s also where the show reveals a minor flaw: Before the performers find their rhythm and catch the beat with perfect timing their rapping and delivery was hard to understand, because the lyrics spit at rapid fire super staccato rate [Das EFX or Twista], rather than Snoop or Biggie’s chilled out flow. Although, some sparky punch lines float into the ether, albeit unnoticed. It’s also not helped in these early parts by James Savage’s sound design either, where the volume obstructs rather than enhances. Likewise, several rap references are dotted throughout the script for those who know - I spotted Common and Erykah’s The Light; Jay Z’s 99 Problems; Tribe’s Electrical Relaxation and Fifty Cent’s In Da Club. But these are minor issues really because the pace improves markedly and narrative thrust develops to its sombre denouement. So, can Othello: The Remix stand on its own? Prolonged applause at another success for the consistently innovative Unicorn Theatre answers that question.